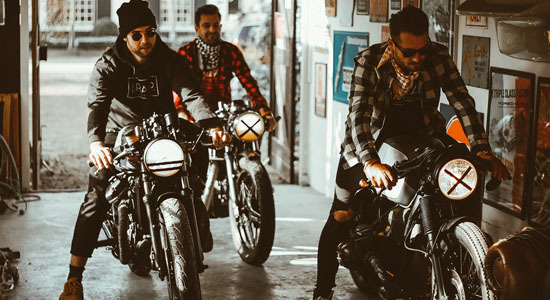 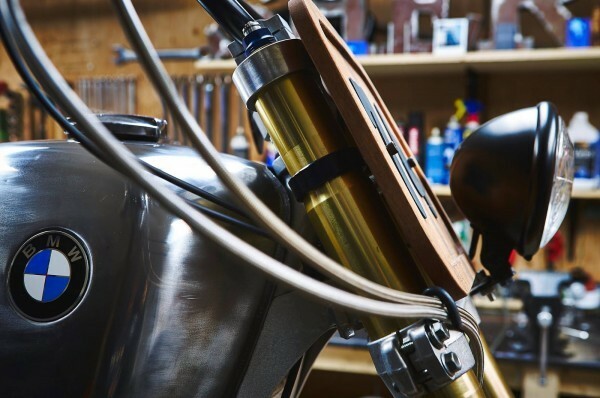 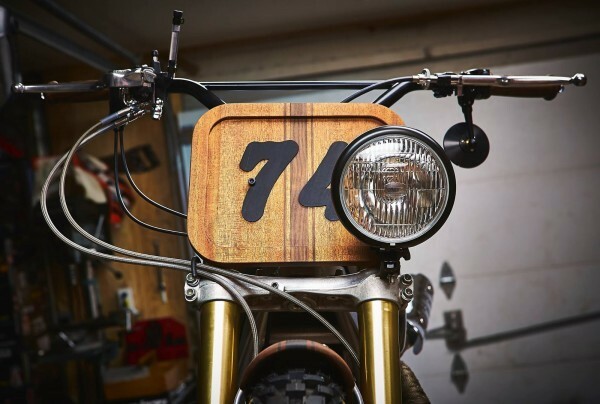 Garage Sherrif, based in Montréal, Canada is a small motorcycle workshop with a preference for wood. 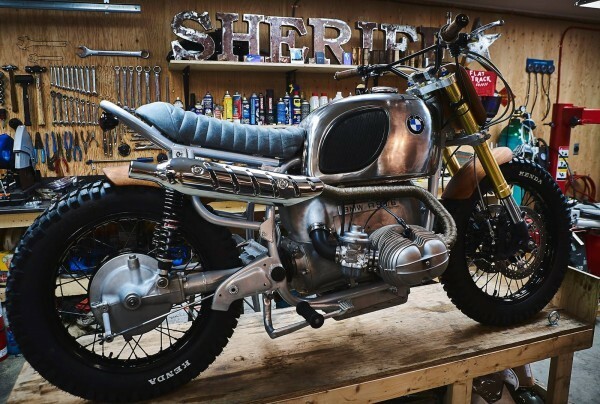 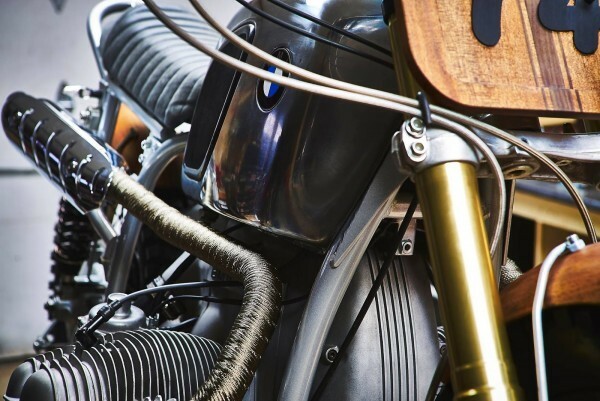 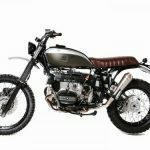 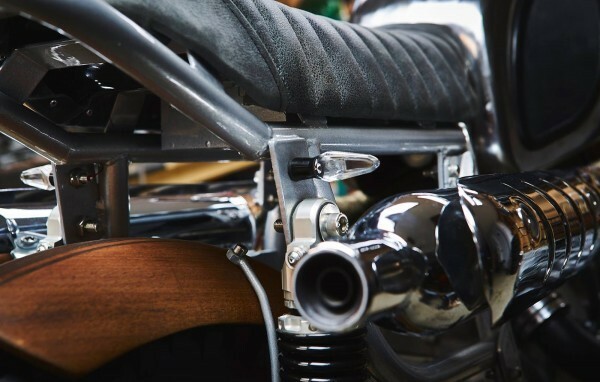 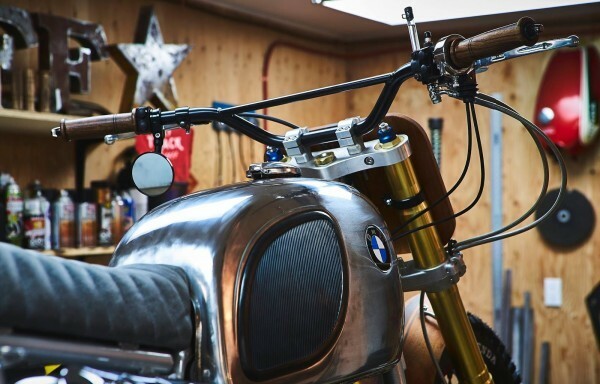 So when they started customizing this BMW R90, it was clear that it would have wood all over it. 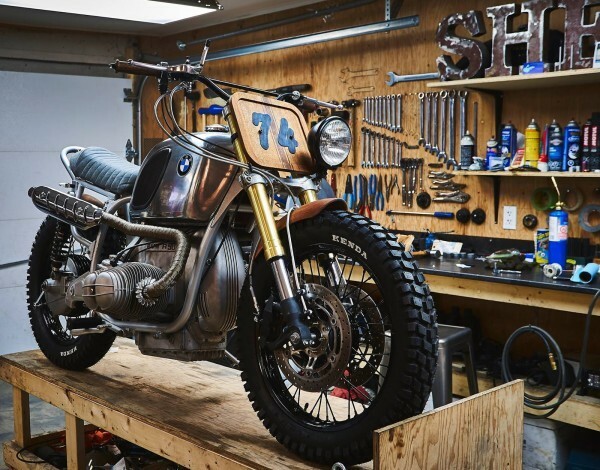 Next to the cool wooden mudguards and other details, the overall look of this BMW R90 Scrambler can be called “tough & rough”. 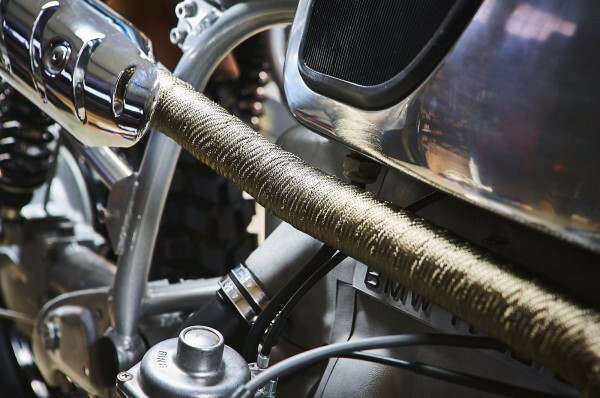 The high exhaust pipes and bristle alu gas tank give makes it a radical appearing. 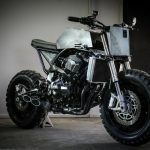 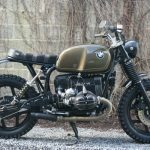 The big golden USD fork with radial brake calipers and the off road tires make this bike a real machine for getting into the woods (what’s in a name). 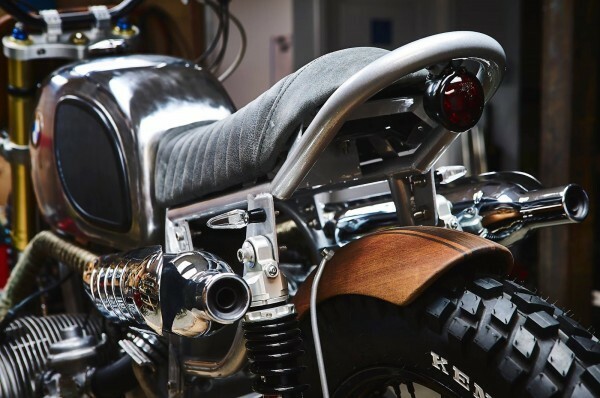 Like the wooden details? 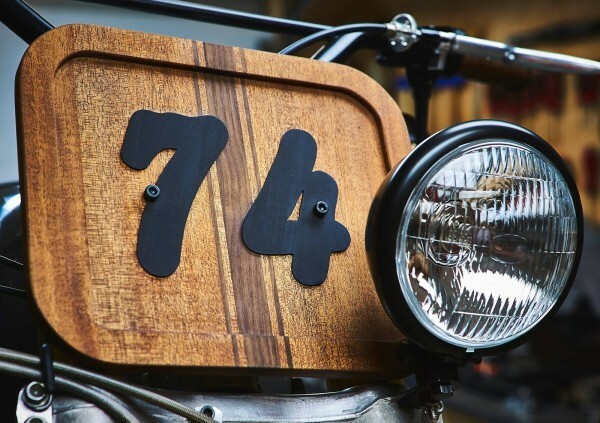 Check out the last bikes of the month; here I’ve featured a cool FN M70 filled with wood. 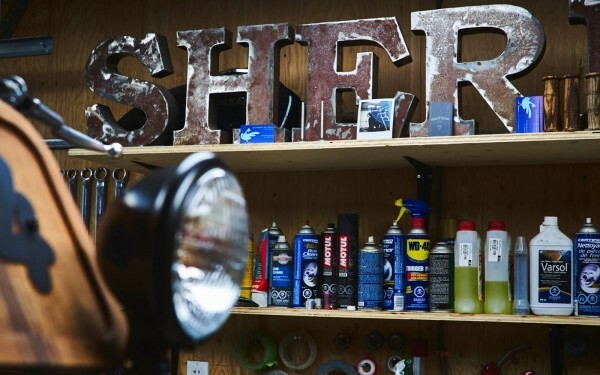 Follow Garage Sherrif of Facebook or Instagram. 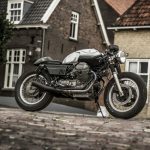 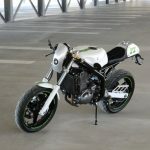 That the new BMW R nineT is a great platform for custom bike builders was already a fact, shown by Shiro Nakajima a couple of weeks ago. 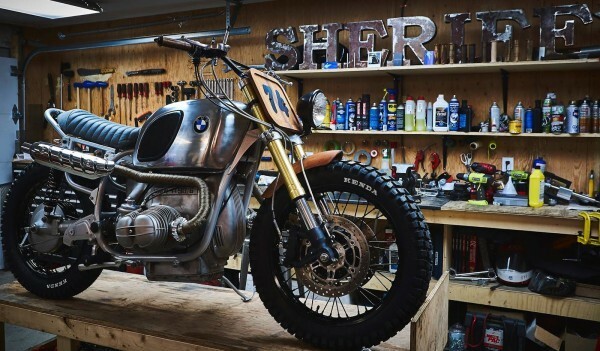 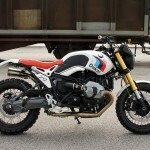 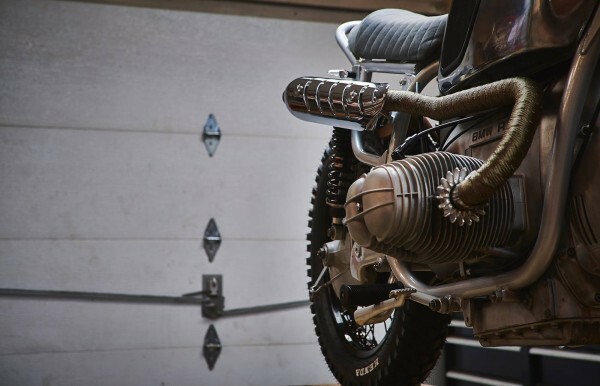 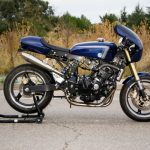 Italian brewer Luis Bertelli from LuisMoto was inspired by the legendary R80G/S Paris Dakar when turning this BMW R nineT into a amazing cool scrambler.